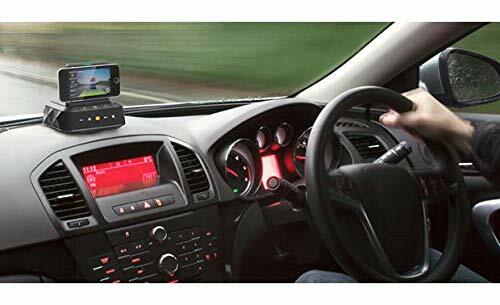 [Perfect Bluetooth Dashboard Solution for Old Cars and Smartphone Navigation] Wireless Bluetooth Streaming - This allows you to enjoy JBL quality sound wirelessly via Bluetooth. [Advanced Driver Assist System] Compatible to ADAS Apps on Smartphone Adds ADAS (advanced driver assist system) functions like LDW (lane departure warning), FCW (front collision warning) and Traffic Signal Recognition into vehicles with minimum cost and no modifications to the vehicle. [Voice Logic Noise and Echo Cancellation Technology] This Patented Noise Cancelling Technology uses beamforming, echo cancellation and noise suppression, without introducing any digital artifacts or distortion. Voice Logic minimizes background and wind noise to deliver superior voice quality as well as the highest speech recognition accuracy. This allows you to enjoy crystal clear phone calls even with strong road or wind noise. 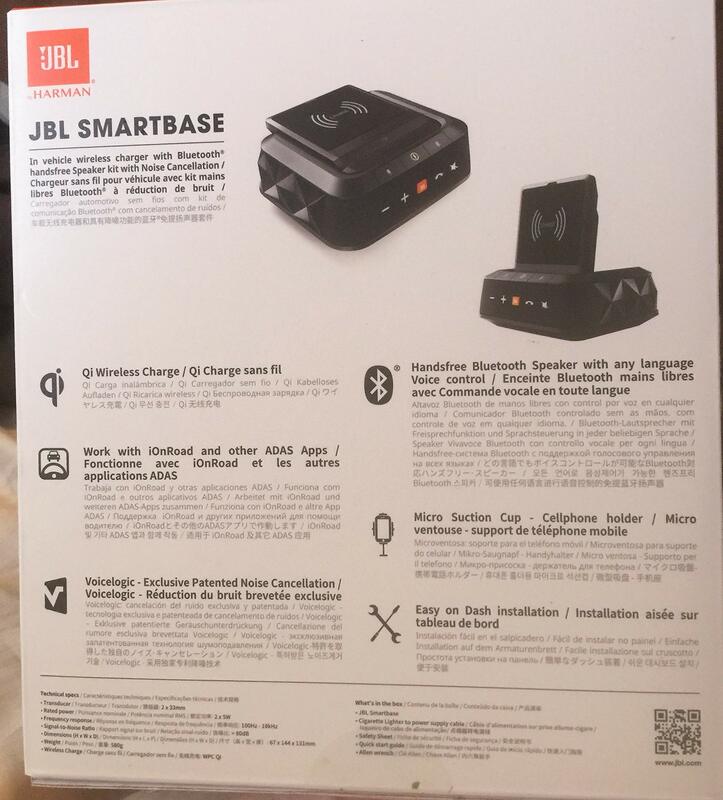 [Voice Control] The JBL Smartbase supports both Siri and Google Now. Resident commands in the Smartbase can also be customized by language. [WPC Qi Compliant Wireless Charging] This popular industry standard works with most smartphones and uses a fixed frequency transmitter to minimize impact to other electrical systems in the vehicle. 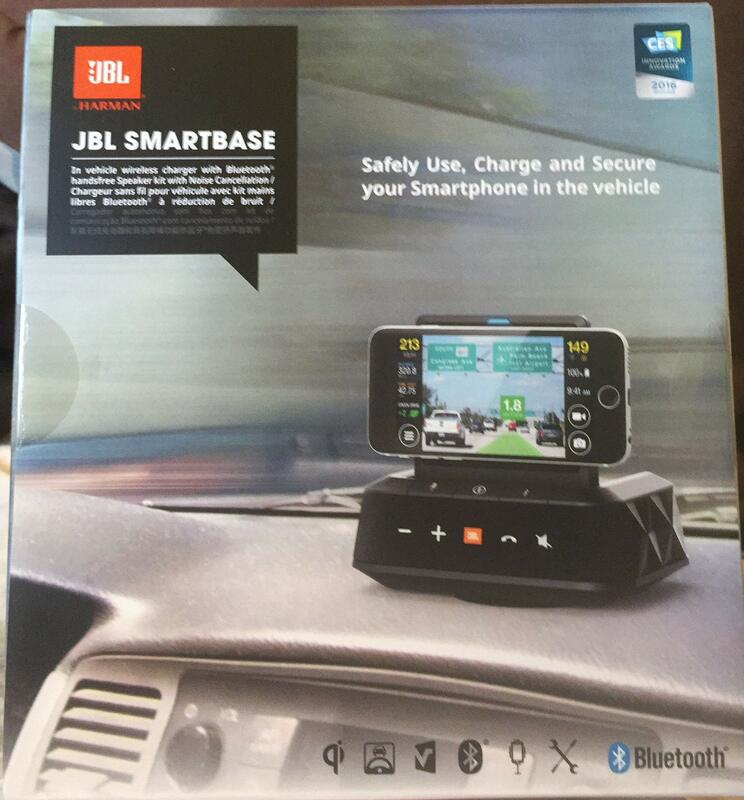 Wireless Bluetooth Streaming: This allows you to enjoy JBL quality sound wirelessly via Bluetooth. Advanced Driver Assist System: Compatible to ADAS Apps on Smart Phone - Introduce ADAS (advanced driver assist system) functions like LDW (lane departure warning), FCW (front collision warning) and Traffic Signal Recognize into vehicle with minimum cost and no modification to the vehicle. Voice Logic Noise and Echo Cancellation Technology This Patented Noise Cancelling Technology uses beamforming, echo cancellation and noise suppression, without introducing any digital artifacts or distortion. Voice Logic minimizes background and wind noise to deliver superior voice quality as well as the highest speech recognition accuracy. This allows you to enjoy crystal clear phone calls even with strong road or wind noise. 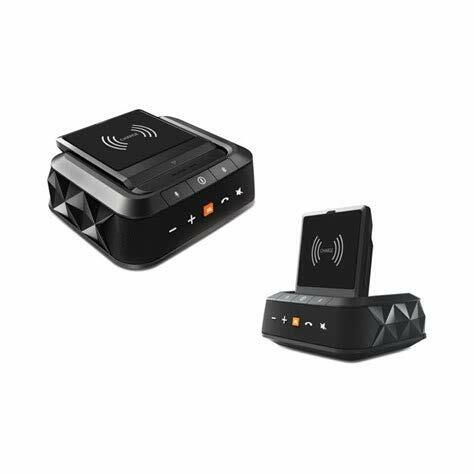 Qi Wireless Charger: This popular industry standard works with most smartphones and uses a fixed frequency transmitter to minimize impact to other electrical systems in the vehicle.